The Sounders will throw their top lineup at the Vancouver Whitecaps on Saturday night with an eight-game winning streak, an 11-match unbeaten stretch and a possible Cascadia Cup victory on the line. VANCOUVER, B.C. 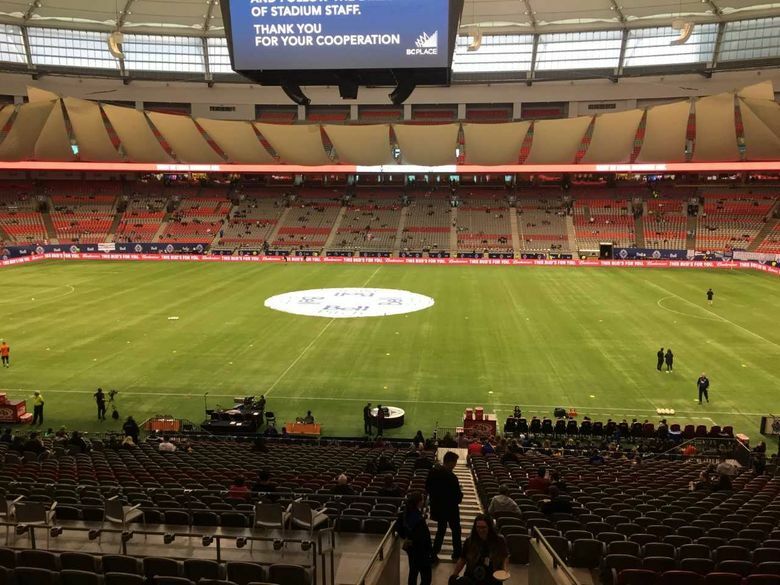 — There had been some concern the Sounders might be undermanned heading into Saturday night’s clash at B.C. Place Stadium, given all of their international callups. Not so, as Brian Schmetzer has deployed his A-team against the Whitecaps in a bid for a ninth consecutive Sounders win and the team’s first Cascadia Cup victory since 2015. Raul Ruidiaz is back from the Peruvian national team and starting at striker, while Uruguayan national Nicolas Lodeiro and United States Men’s National Team member Cristian Roldan are manning the midfield. Their attacking trio is rounded out — as per usual during this 11-game unbeaten stretch — by Harry Shipp, but Victor Rodriguez is dressed for the game and could come off the bench. Kelvin Leerdam said his ankle is feeling better and he’ll start at right back. Chad Marshall, his red card suspension rescinded, starts with Kin Kee-Hee at center back. No Roman Torres on the bench, so look for Gustav Svensson to drop back a line if Marshall or Kim comes out. The Whitecaps have plenty to play for, trying to stay relevant in the playoff hunt. A win over the Sounders vaults them right back into this thing. The Sounders need a victory to start climbing higher in the standings so they can avoid the first round knockout stage.